Used coffee grounds are collected from Tokyo’s coffee shops. The grounds are aggregated and solidified into components before being used as odor-absorbing architecture to transform alleyways. Used coffee grounds are the raw material for the proposal. There are many coffee shops in Tokyo, and these grounds could be aggregated on an urban scale to produce a new resource. The coffee grounds, when collected, are solidified and created into a component. The components are organized together into box-like formations to create architecture. The architecture creates a unique gathering space that intends to transform Tokyo’s alleyways. 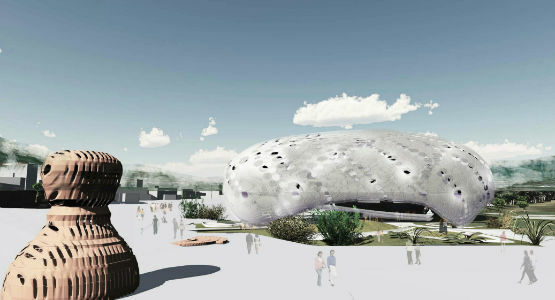 The architecture, in addition to being visually interesting, is also odor-absorbing due to the coffee content of the proposal. This aids in creating a more pleasant experience in alleys. Hair is collected from Tokyo hair salons. The material is gathered and punched to produce components, and is then assembled to create an adaptive shade for apartments. The raw material for the project is hair collected from Tokyo hair salons. The clippings are usually thrown away, but on the urban scale and through aggregation, the hair is a potential resource. The hair is punched to create a fabric-like material after it is aggregated. 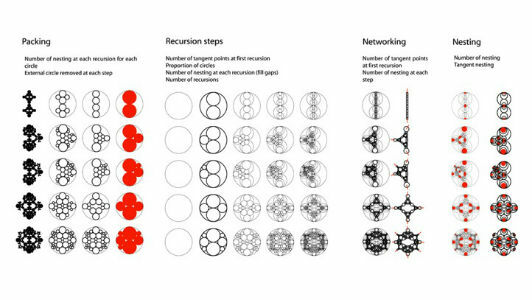 Components can then be created from the material in a folding pattern. A series of folded components are fit together to produce a canopy which can be moved and repositioned as the user sees fit. The canopy provides shade, but it also allows the owner of the canopy to personalize the façade of their balcony (upon which the canopy is placed). An aggregate of chopsticks are arranged with the help of a guidance system to produce funicular cones. 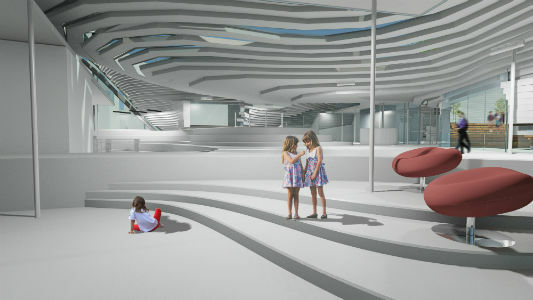 Disposable chopsticks are the material chosen for this proposal. The chopsticks are gathered and used in aggregate. Used on a massive scale, the sticks are aggregated and held in place with glue. Stick aggregation is facilitated with a guidance system that essentially creates a large scale 3-D printing setup. The resulting cones produce a gathering space. This architecture creates a use for waste chopsticks, an everyday material in Japan. 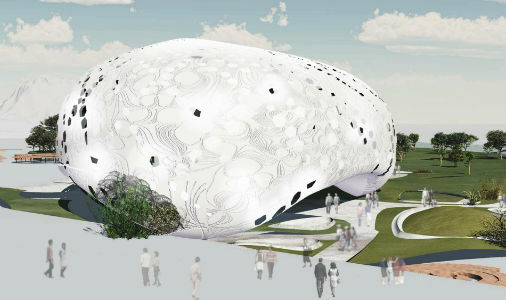 It also creates a community center. Mussels are used to produce architecture. 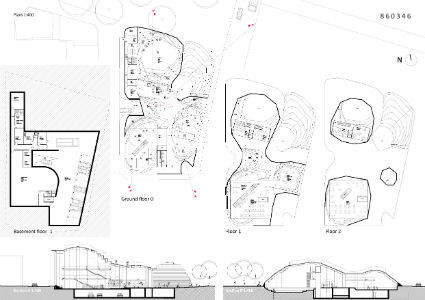 There are three phases to the architecture. Phase 1 is the mussel growing phase, during which water is purified. 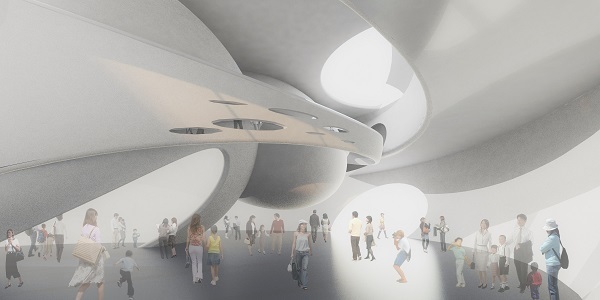 Phase 2 is the mussel solidifying phase, where the mussels become a structural system and their architectural characters can be shaped. Phase 3 is the mussel decomposition phase, where energy is produced. Mussels are shallow water organisms that live at a maximum depth of 10 meters. They are most abundant at or near low tide level, where their food supplies are most concentrated. One mussel can clean four liters of water per hour. In aggregate, there is potential for mussels to address issues such as industrial discharge, soil erosion, and domestic sewage. Polluted fresh water, which makes up just 0.1% of earth’s water could be cleansed with mussels. A waste water purification plant can clean 80,000 liters of water per day, the equivalent to 1000 mussels. Mussels must be gathered together on a series of ropes to form catenary curves. The mussels self-assemble on lines and harden in place, during which phase the water is purified. 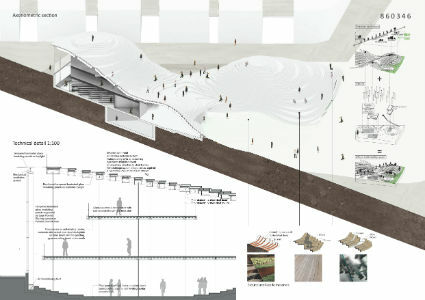 Through this process, the mussel element (in aggregate) gains the ability to act as an architecture. Once hardened into the catenary curve position underwater, the mussel lines gain the ability to perform as architecture. What was once a water purification system becomes a canopy structure. 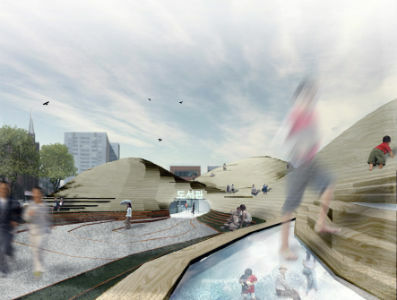 The catenary curves are removed from the water and are turned upside down to produce a canopy structure. 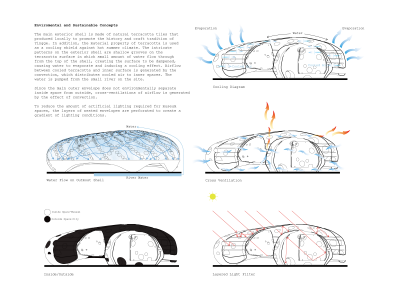 In this phase of the project life cycle, the mussels’ primary function is to fulfill a role as architecture. In the third and final stage of the project life cycle, where the mussels decompose, the material becomes a resource for farming and agriculture by acting as a nutrition source. It is food supply for birds and fertilizer for farms. The project thus provides fresh water, a community gathering space, and a food/fertilization resource at different stages of the project life cycle. Intro: An electricity plant that generates power through a chemical reaction. Electricity is generated at the point where salt water and factory runoff water meet. The power plant is established as a park and is capable of connecting residential and industrial areas. Raw Material: Brackish water at a site where river water and sea water meet. Electricity is produced at this point due to the mixing of salt water and fresh water. Purified water results as a by-product. The existing power plant in the area divides the river and the sea, thus impacting the flow of water and the local environment. Transformed Material: Sea and river water (mixed) pass through a membrane which removes impurities and ions. Purified water is produced through the process. Architectural Prototype: Capsules float on the salty sea water, but beneath the river water. The architecture thus floats on the boundary surface between the two layers. Its level (and thus, the habitable area of the zone) changes with the tides. This creates an adaptive floating bridge which changes position. The membranes required to produce the purified water and the energy are placed inside the floating capsules, which are connected together. Urban Prototype: The power plant generates energy, provides purified water, and creates an adaptive bridge space. It can connect residential and industrial areas and provide a community center around which shopping and educational facilities can be situated. Because of the shifting tide levels, the area can provide an interesting user experience. It can boost the local economy with shopping and sightseeing, in addition to generating power.